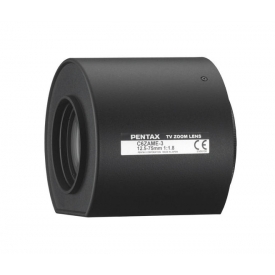 The Pentax C31211 is a 2/3" format, C-mount, 6X Zoom lens with fully motorized zoom, focus and iris functions. Part of Pentax's line of CCTV lenses, it produces high resolution images with superb contrast. Did you see a lower price for the Pentax C31211 2/3" Format 12.5-75mm Lens with 6x Motorized Zoom, Focus & Iris? Do you have a question about the Pentax C31211 2/3" Format 12.5-75mm Lens with 6x Motorized Zoom, Focus & Iris?